In the rear view, I used wide fenders in order to make the car looking more aggressive. 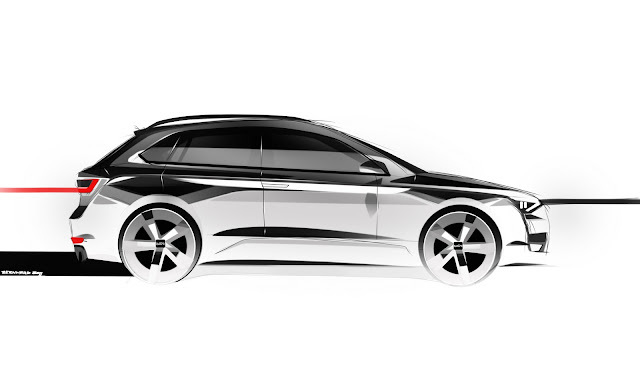 Furthermore, I put the LED-backlights more into the middle of the car in order to make it even wider and the low greenhouse gives the car a sporty-feeling. 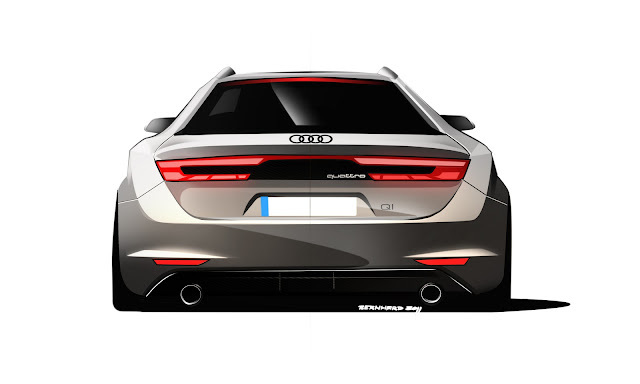 As you can see, I tried to imitate the style of the sketches from the Audi Quattro concept.